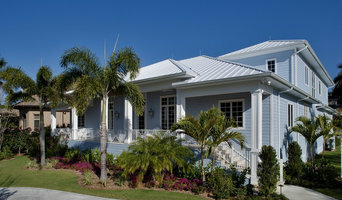 Houchin Construction, Inc. and the Houchin family began their construction business in 1962, and now the fourth generation continues the tradition of pride in craftsmanship and an outstanding reputation in Southwest Florida. Our expertise and passion for excellence continues to preserve our status as a trusted leading construction firm in Southwest Florida for more than 50 years. We pride ourselves in providing our clients with a personable and professional team who shares our emphasis on quality, integrity and honesty throughout the construction process. We maintain these values from client introduction through project completion and the life long relationships that follow. We are local general contractors who have been in business since 2004. JMiller Building primarily remodels homes in Bonita Springs & Naples, builds custom homes, and offers real estate for investment. JMiller Building Company is a family-owned and operated single-family homebuilder & remodeling contractor in Southwest Florida. The name is synonymous with fine craftsmanship, quality materials, timely completion, and attention to detail of each distinctive home we do.